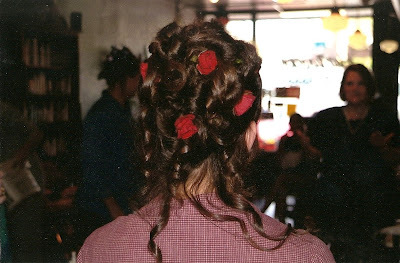 Hair flowers are an accessory that seems to be gaining in popularity once again. 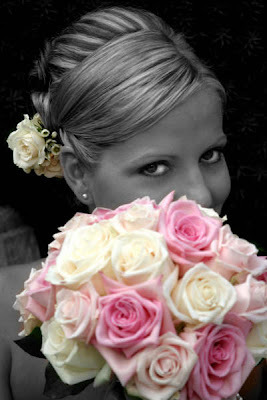 Lots of different flowers and colors are available depending on your wedding season. Here are a few ideas and examples of hair flowers we have done. 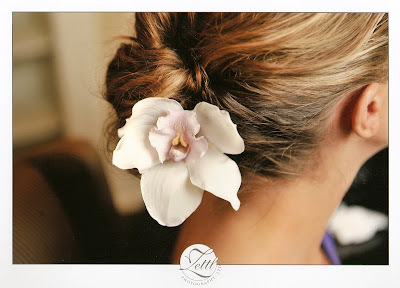 A single cymbidium orchid bloom makes a great flower for your hair. It’s large bloom really makes a statement. …..or in a cluster of a few blooms. 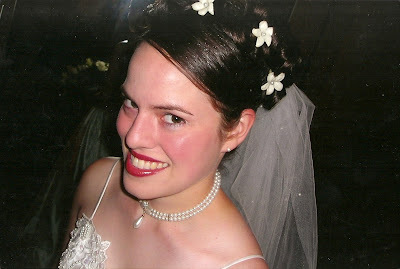 Stephanotis are a great white flower to add to your hair. They are small, but are still very bridal. 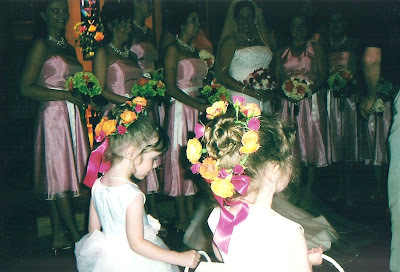 Of course, there is always hair flowers for other wedding party members, including the always adorable flower girls. 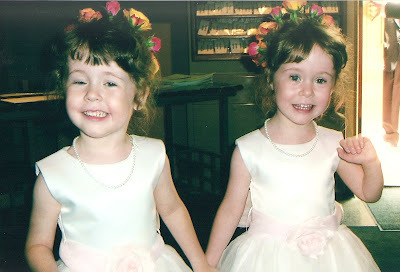 These little princesses had colorful head wreaths made of spray roses. There are lots of different options for hair flowers. They can make a great addition to your hair style. 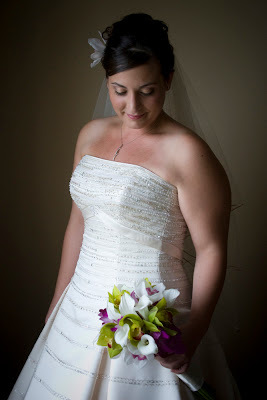 A few simple flowers can be a fun addition at the reception or in place of your veil. Ask us for other suggestions at your flower consultation! !